The Amargosa Opera House was sort of discovered in the late 1960's by arta Becket. Marta and her husband were taking her traveling show around the country and they had a flat tire on their trailer in Death Valley. They took it to Death Valley Junction to be repaired. 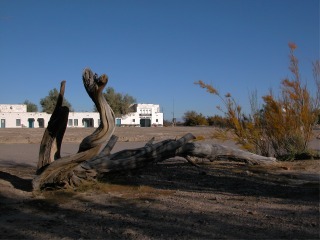 While the tire was being repaired Marta wandered the town and came across the old building that was abandoned. She decided this was where she wanted to do her show from now on. click photo to enlarge Marta has been performing her shows in Death Valley Junction and the Amargosa Opera House ever since. The show is very well done and very entertaining. The Opera House seats about 110 people and many nights is now sold out. The show starts when a gentlemen dressed in a top hat and tux opens the door. He announces that it is customary to allow Hotel guests to enter first and then he calls out names. click photo to enlarge The hotel is something to experience. 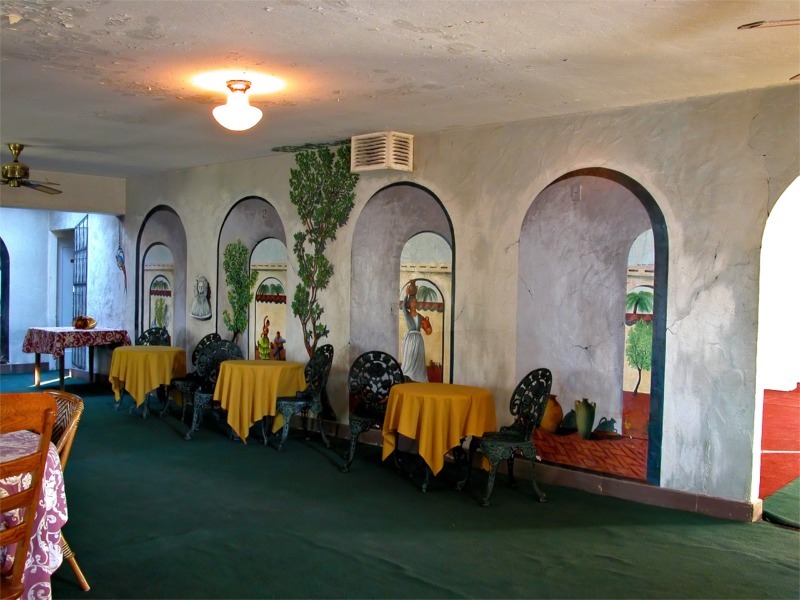 Marta has painted murals in all the rooms and some times from a quick glance it's hard to tell what is real and what isn't. 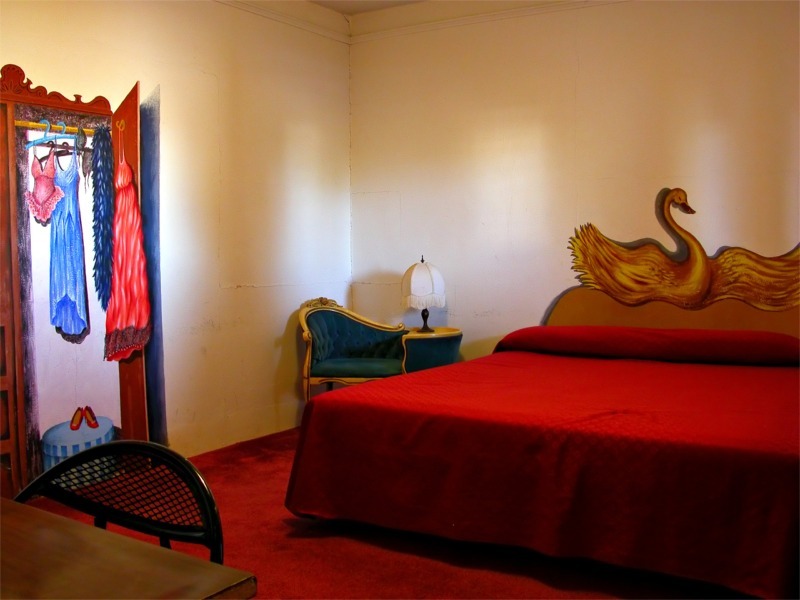 The headboard is painted in this picture. click photo to enlarge On the walls of the opera house Marta has painted an audience. In the early days there would be times she would perform her show and there was no audience so she decided to paint one. 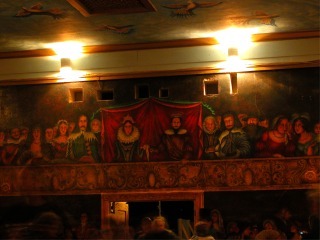 The entire walls of the Opera House are painted including the ceiling. 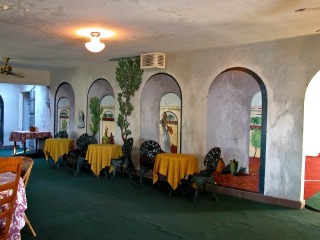 click photo to enlarge This is an example of a few more of her murals in the hotel. 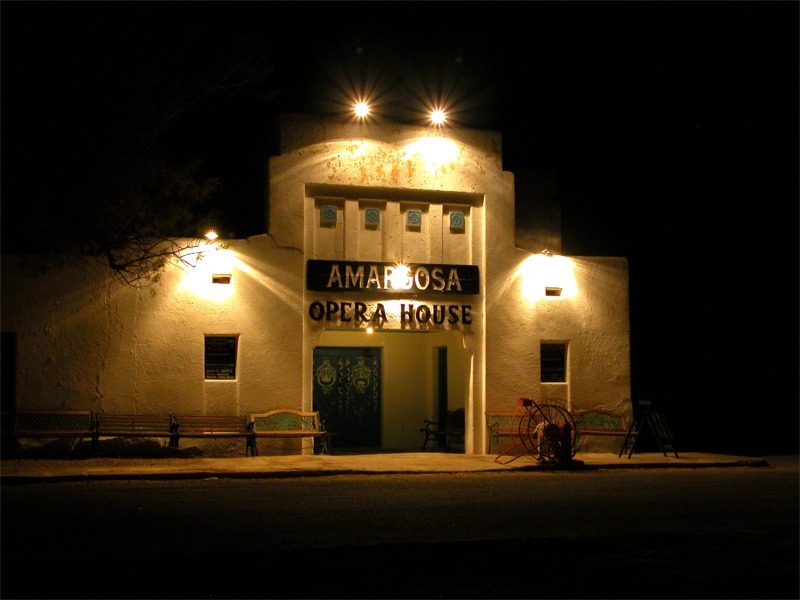 We highly recommend seeing Marta Becket's Amargosa Opera House and the show. The nearest gas and food is 7 miles away. The day we were there when I went to get gas they were out so I had to drive another 15 miles to find gas. It really is out in the middle of nowhere.